In July of 2005 the National Academy of Sciences came to the conclusion that the preponderance of scientific evidence shows that even very low doses of radiation pose a risk of cancer or other health problems and there is no threshold below which exposure can be viewed as harmless. Many doctors, however, generally assumed that low levels of radiation are harmless since they produced no immediately observable effects. They even assume high levels of radiation are harmless and thus expose infants to CAT scans. Radiation is poison. We are slowly killing off our world with radiation, heavy metals, plastic, pesticides, herbicides, fungicides, more chemicals that most people can count, microwave frequencies and political bull that runs so deep there is no chance anything will change. For a quick kill all we need is a nuclear war; and it does seem that many politicians in America would like to expose all of us to killer radiation with a war with Russia. Why? Is there any reason except exceptional insanity that would justify risking all the women and children, all our animals and even us men in a nuclear holocaust? Radiation is death, it means cancer. It is hard to treat. At the top of the toxic list of nuclear problems is Fukushima, a problem that will never go away. 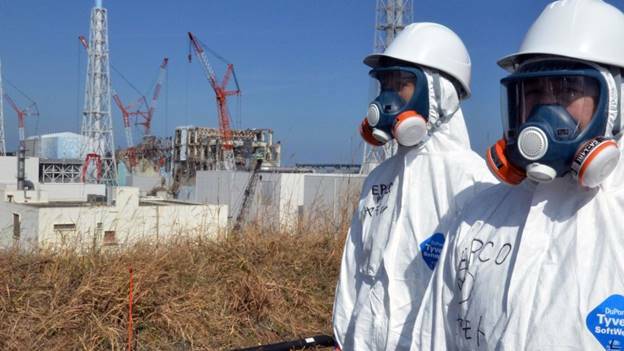 The Fukushima nuclear plant meltdown disaster “is not over and will never end,” warns Dr. Helen Caldicott, Nobel Peace Prize nominee and holder of 21 honorary doctorate degrees. The owner of the Fukushima nuclear plant, destroyed by an earthquake and tsunami more than seven years ago, said water treated at the site still contains radioactive materials that for years it has insisted had been removed. The admission by Tokyo Electric Power (Tepco) could ruin its chances of releasing the water into the ocean, a move the nuclear regulator says is safe, but which local fishermen oppose. Just in Fukushima alone the government and Tokyo Electric Power Company Holdings Inc (TEPCO) is under pressure to dump 920,000 tons of tritium-containing water, which are stored in some 680 tanks within the premises of the plant into the sea. This water is severely contaminated with 62.2 becquerels per liter of lodine 129, far higher than the 9 becquerel legal limit, was found in the water filtered by the Advanced Liquid Processing System used to remove various types of radioactive materials. Iodine 129 has a half-life of 15.70 million years. Tepco said in early October that studies found the water still contains other elements, including radioactive iodine, cesium and strontium. 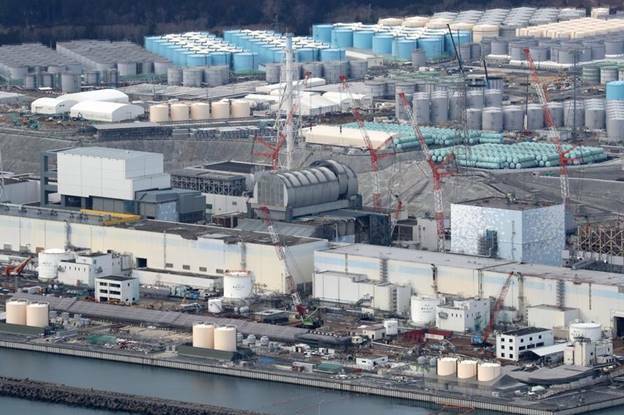 About 161,000 tons of the treated water has 10 to 100 times the limit for release into the environment, and another 65,200 tons has up to nearly 20,000 times the limit, Tepco said. The crippled reactors at the plant are still generating huge amounts of water contaminated with radiation every day. Tons of groundwater percolating into the damaged reactor buildings as well as water being injected into the reactors to cool the melted fuel are constantly becoming contaminated. There is no treatment for this water, no place to put it except into the ocean but better to not talk or even think about such things. Fukushima is just one of many radioactive hot spots on our earth yet by far it is the hottest. Readings inside the containment vessel of reactor no. 2 are as high as 530 Sieverts per hour, a dosage that would be fatal dozens and dozens of times over if a human were to be exposed to it. The previous high was a still very fatal rate of 73 Sieverts per hour. The highest radiation levels ever measured at Chernobyl were 300 Sieverts per hour; an incomprehensibly high dose which can kill a man almost instantly. The new record at Fukushima of 530 Sieverts per hour is 70% higher than that of Chernobyl. The 530 Sievert reading was recorded some distance from the melted fuel, so in reality it could be 10 times higher than recorded, said Hideyuki Ban, co-director of Citizens’ Nuclear Information Center. Because they are among the primary users of nuclear radiation, using it for all kinds of dangerous tests. A single CT scan of the chest is equal to about 350 standard chest X-rays. They are using radiation, a cause of cancer, to try to treat cancer. Dr. Edward Golembe, who directs a hyperbaric oxygen chamber at Brookdale University Hospital in Brooklyn, said he had treated serious radiation injuries to the jaw and called them “a horrible, horrible thing to see.” When we deal with radiation we deal with death for it is the death principle that doctors are trying to harness with terrible results. Most people who employ radiation in their treatments for cancer suffer horribly but some worse than others. Radiotherapy can leave patients with a lifetime of suffering and their life expectancy severely shortened. The New York Times said, “These interventions can be just as brutal on the patient as they are on a tumor.” Thousands of cancer survivors have developed terrible conditions as a result of the radiotherapy treatment that helped save them. What to do about increasing radiation exposure? Everyone should be making sure that they are taking enough minerals because radioactive substances mimic their non-radioactive mineral substances. Strontium mimics calcium, for example, making it extremely dangerous to all life forms once it is absorbed. Drink lots of iodine, sodium bicarbonate, magnesium and start off each day drinking a glass of ultra-pure edible clay. Edible clay is one of the most basic detoxification substances. It helps make sure absorbed radioactive particles pass through instead of into us. When was the last time you remember your doctor telling you to take magnesium or any of these other substances, or even sulfur to reduce the risk that our exposure leading to cancer. Chronic oxidative stress is the main cause of the late post-radiation effects, including cancer. Cellular exposure to ionizing radiation leads to oxidizing events that alter atomic structure through direct interactions of radiation with target macromolecules. Further, the oxidative damage may spread from the targeted to neighboring, non-targeted bystander cells. In irradiated cells, levels of these reactive species may be increased due to perturbations in oxidative metabolism and chronic inflammatory responses, thereby contributing to the long-term effects of exposure to ionizing radiation on genomic stability. Has your doctor told you that taking only 200 micrograms of selenium a day will reduce your chance of dying of cancer by 50 percent? The absorption of ionizing radiation by living cells can directly disrupt atomic structures, producing chemical and biological changes. It can also act indirectly through radiolysis of water, thereby generating reactive chemical species that may damage nucleic acids, proteins and lipids. Oxidative stress contributes to many pathological conditions and diseases, including cancer, neurological disorders, atherosclerosis, hypertension, ischemia/perfusion, diabetes, acute respiratory distress syndrome, idiopathic pulmonary fibrosis, chronic obstructive pulmonary disease, and asthma. Glutathione synthetase requires glutamyl cysteine, glycine, ATP, and magnesium ions to form glutathione. There is a direct relationship between cellular magnesium, GSH/GSSG ratios, and tissue glucose metabolism. Magnesium deficiency causes glutathione deficiency. The higher the exposure the more glutathione is needed. Reducing the amount of oxidative stress, we are constantly faced with, is one of the most important things we can do for our health. Nothing will take down oxidative stress like hydrogen inhalation. Cosmic radiation is known to induce DNA and lipid damage associated with increased oxidative stress and remains a major concern in space travel. Hydrogen has potent antioxidant and anti-inﬂammatory activities. Scientists hypothesize that hydrogen administration to the astronauts by either inhalation or drinking hydrogen-rich water may potentially yield a novel and feasible preventative/therapeutic strategy to prevent radiation-induced adverse events. Every dose of radiation increases the chances of getting cancer sooner or later in one’s life. Chemotherapy also causes cancer because of its toxicity. Given enough time, cancer will develop whenever there is a proliferation of damaged cells and when oxygen levels fall far enough. When cells are damaged, when their cell wall permeability changes, when toxins and free radicals build up, when the mitochondria lose functionality in terms of energy ATP production, when pH shifts to the acidic in cells, when essential gasses like carbon dioxide are not present in sufficient concentrations, and when essential nutrients are absent, and stress levels are high enough, cells will eventually decline into a cancerous condition. Radiation of course helps all of these processes take us to an early grave. The linear no threshold modelor LNTM is a model of damage done by radiation. This model assumes that the response to radiation exposure is linear and that this linear relationship continues to very small doses, that is to say that there is no threshold of exposure below which the response ceases to be linear. When it comes to radiation if a particular dose of radiation is found to produce one extra case of a type of cancer in every thousand people exposed, the LNTM predicts that one thousandth of this dose will produce one extra case in every million people so exposed, and that one millionth of this dose will produce one extra case in every billion people. Int J Radiat Biol. 2015 Jan;91(1) Ionizing radiation-induced oxidative stress, epigenetic changes and genomic instability: the pivotal role of mitochondria. Med Hypotheses. 2011 Jan;76(1):117-8. Hydrogen therapy may reduce the risks related to radiation-induced oxidative stress in space flight.